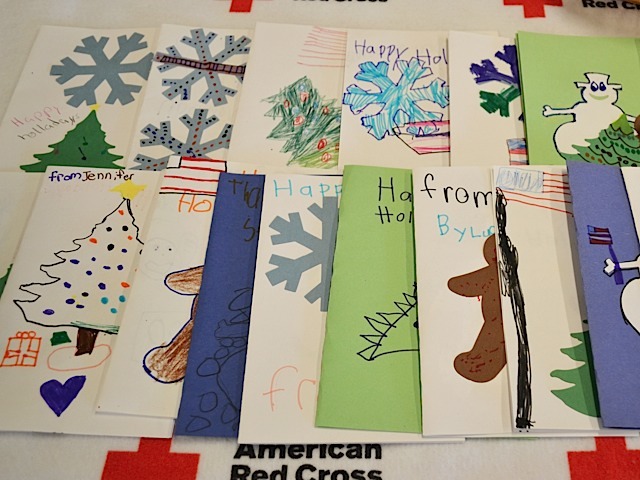 Royer’s Flowers will collect cards and coloring pages for active military and veterans in each of its stores Nov. 11-25 as part of the American Red Cross’ “Holiday Mail for Heroes” program. Collected cards and coloring pages will be handed over to the Red Cross, whose volunteers will organize them for delivery. Destinations include military installations, VFWs, American Legions, the Lebanon VA and retirement homes in 22 counties in central Pennsylvania. Use generic salutations such as “Dear Service Member” as cards addressed to specific individuals cannot be delivered through this program. Include messages of support and thanks. Sign your name to them. Don’t include letters or other personal information (photos, addresses). Refrain from choosing cards with glitter. The American Red Cross (redcross.org/centralpa) prevents and alleviates human suffering in the face of emergencies by mobilizing the power of volunteers and the generosity of donors. Last year in central Pennsylvania, the Red Cross assisted close to 4,000 people affected by more than 400 local disasters.